Summary: Flashlight Night is an ode to the power of imagination and the wonder of books. Three children use a flashlight to light a path around their backyard at night; in the flashlight’s beam another world looms. Our heroes encounter spooky woods, a fearsome tiger, a time-forgotten tomb, an Egyptian god, a sword-fighting pirate, and a giant squid. With ingenuity, they vanquish all, then return to their tree house–braver, closer, and wiser than before–to read the books that inspired their adventure. 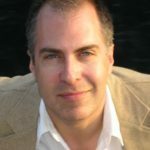 About the Author: Matt Forrest Esenwine’s poetry has been published in Highlights™ as well as in anthologies selected by Lee Bennett Hopkins, Carol-Ann Hoyte, and J. Patrick Lewis. He lives with his family in Warner, New Hampshire. Visit mattforrest.com. 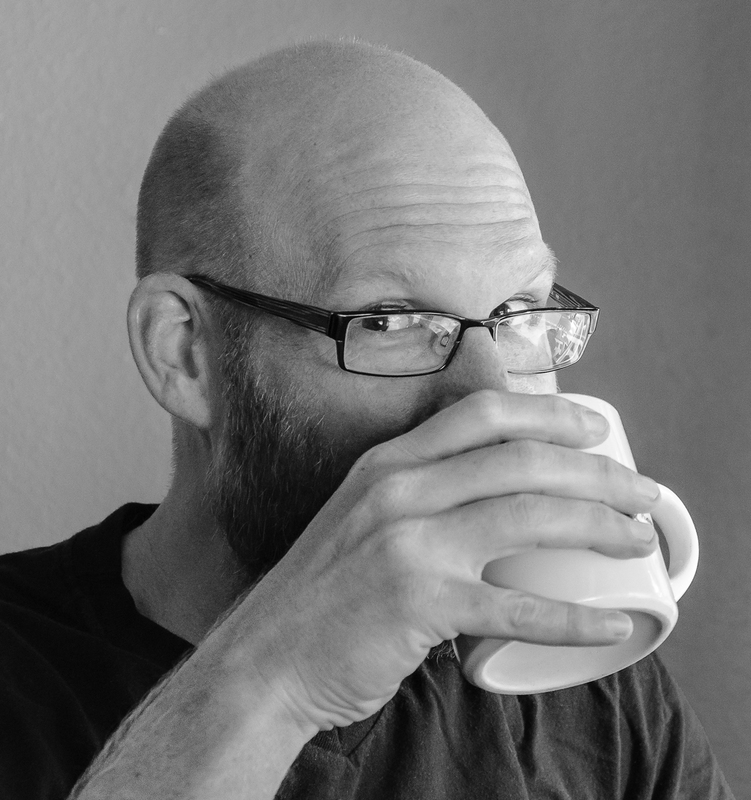 About the Illustrator: Fred Koehler is and author-illustrator. 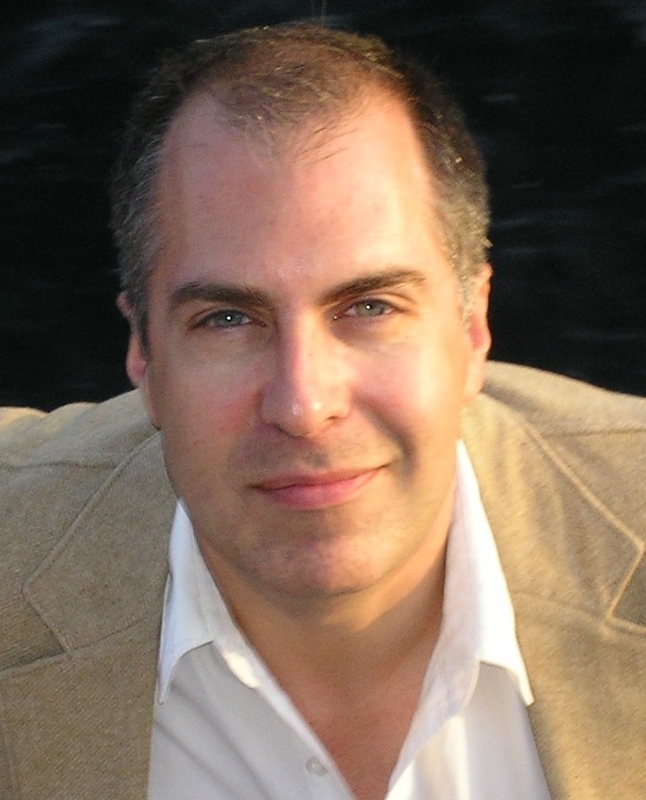 His debut picture book, How to Cheer Up Dad, received starred reviews from Booklist, Kirkus Reviews, and BCCB. 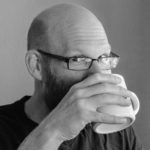 Fred has a background in advertising and lives with his two spirited kids in Lakeland, Florida, where he loves boating, camping, and the great outdoors. 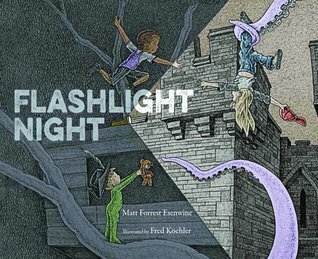 Review: Flashlight Night by Matt Forrest Esenwine and Fred Koehler takes the reader on an adventure that truly illuminates the power of imagination. Esenwine’s poetic language is lyrical and filled with imagery and when accompanied with Koehler’s beautifully detailed pencil illustrations, the story comes to life. I was so lucky to be able to spend some time with Fred at ALA and learn all about his adventures to find just the right inspiration for these illustrations. He went on some amazing adventures to Great Britain where he hiked and visited sites all to ensure that his illustrations were perfect for Matt’s story. He also showed us a time-lapse video of his pencil drawing one spread for the book. Yes, hand drawn with pencil. Beautiful and so impressive! And this story is going to be loved by kids of all ages because of the fun adventures and parents will love the promotion of imagination. For example, this story made Trent want to go exploring, and Trent loves flashlights, so he loved the idea that a flashlight at night can bring about a how imaginative world! Teachers’ Tools for Navigation: I would love to see what kids could come up with if given the opportunity to write about what their flashlight “showed them” when they go on an adventure around their house or outside. It would be a really fun activity for students to take and print photos of different places around their house and outside their house then write narratives about their adventures around these places and what is “actually there” if they explored with their flashlight. Some other elements that could be discussed with Flashlight Night are: compare/contrast between what is there and what’s in their imagination and imagery/descriptive language including figurative language. Discussion Questions: What are some different cultural influences you see in the adventures the kids went on? ; What are the differences between reality and their imagination? ; What descriptive language did the author use to help add imagery to the story? Time Lapse Video of the Creation of One of Flashlight Night‘s Illustrations: It took Fred 30-35 hours per spread to create the amazing world the children explore throughout the book. Thank you so much for this amazing review! I really appreciate it. And I, too, hope it spurs kids’ imaginations – when I sign it, I usually ask, “Where will YOUR flashlight lead you?” which of course can be interpreted both literally and figurativly! Hooray, Matt! I love seeing Flashlight at Night making its way around to different blogs. Thanks Linda – so do I! I love the Egyptian touches in the one illustration! I’ve heard great things about this book. The writing sounds beautiful from the pages you’ve shown. I love the cover, too! I can’t wait to read this fun book. Love the illustrations. Thank you so much for all the nice comments, everyone! I do hope you’ll like it. It would be wonderful to see what kind of pictures and stories your students could imagine with this book!